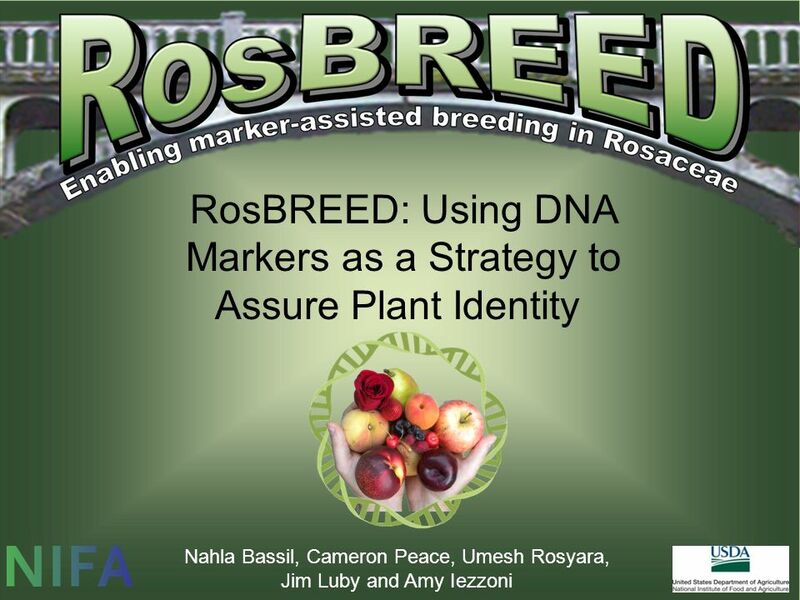 RosBREED: Using DNA Markers as a Strategy to Assure Plant Identity Nahla Bassil, Cameron Peace, Umesh Rosyara, Jim Luby and Amy Iezzoni. 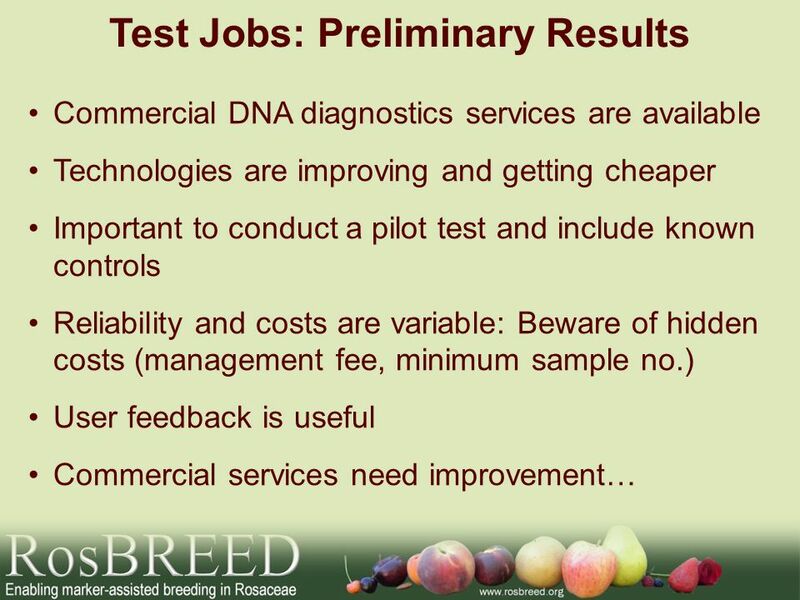 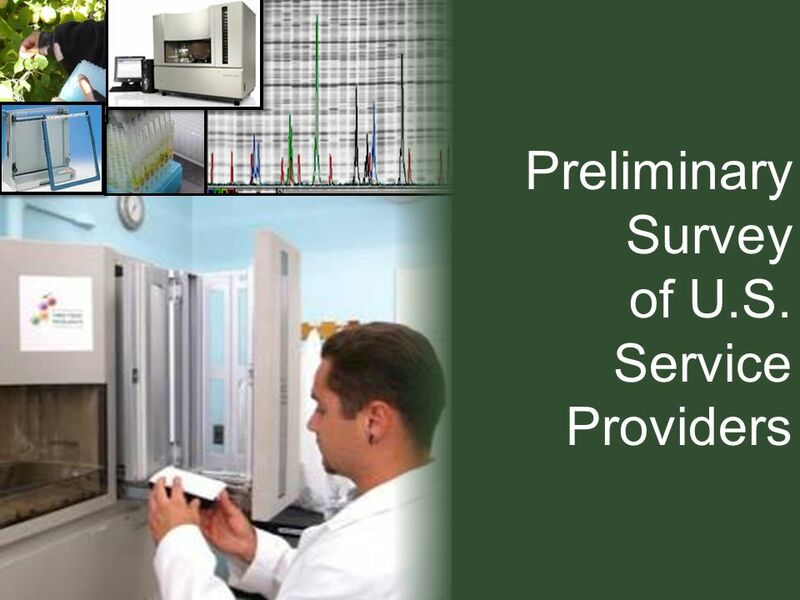 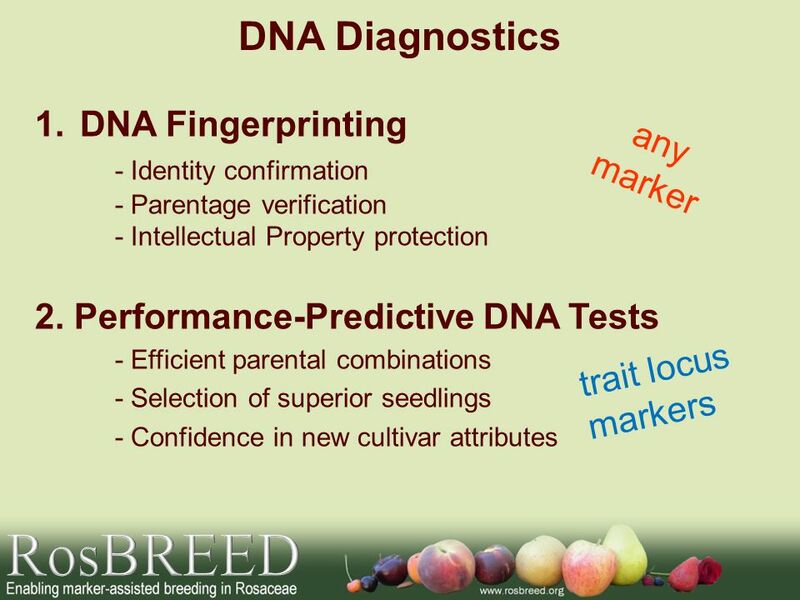 2 Take Home Messages  DNA tests can give us lots of useful info  May be “fingerprinting” or “trait-predictive”  Different techniques, always advancing  Commercial services are available for your DNA diagnostics needs! 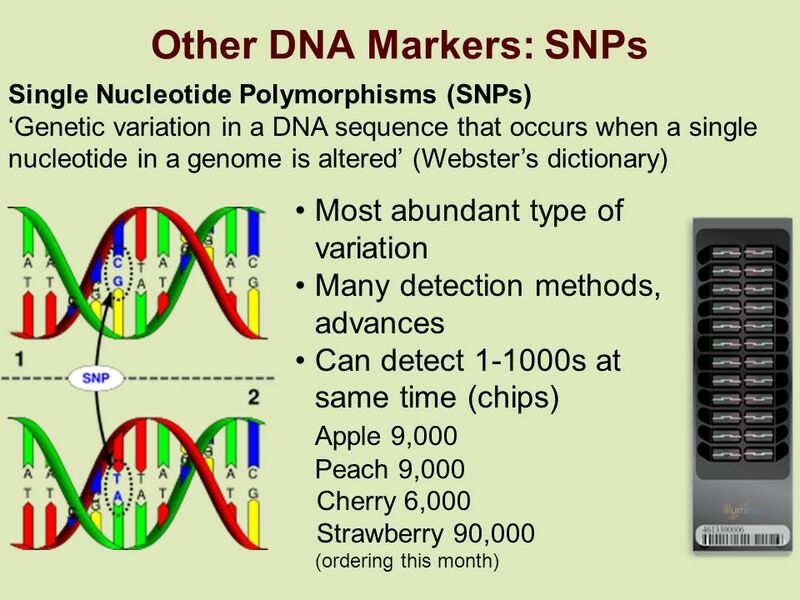 20 ? 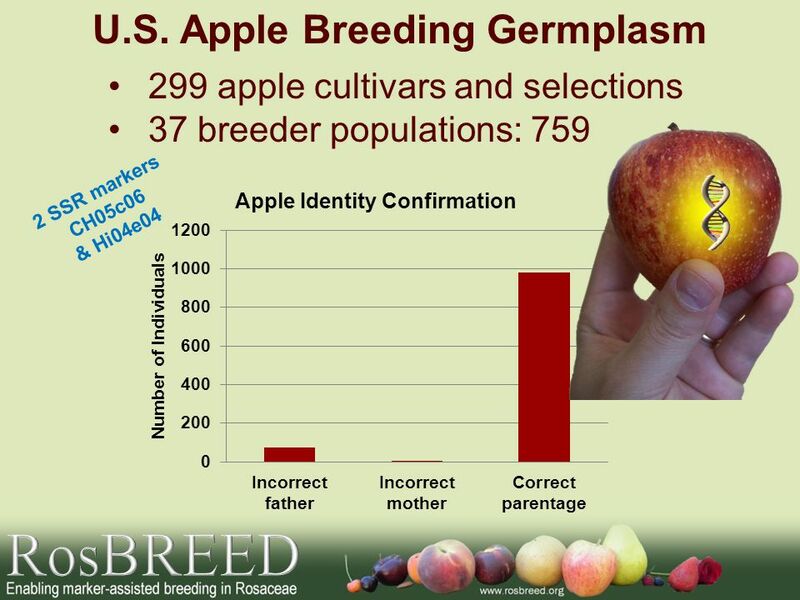 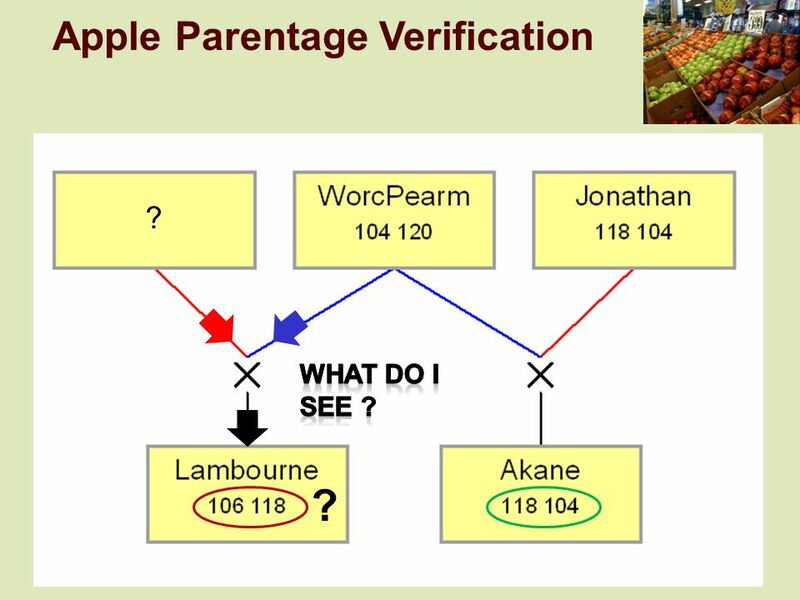 Apple Parentage Verification ? 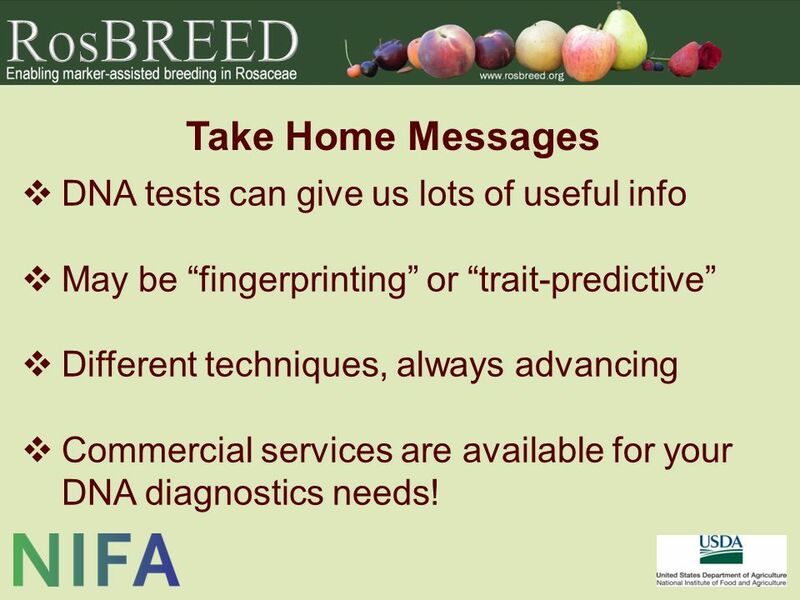 32 Take Home Messages  DNA tests can give us lots of useful info  May be “fingerprinting” or “trait-predictive”  Different techniques, always advancing  Commercial services are available for your DNA diagnostics needs! 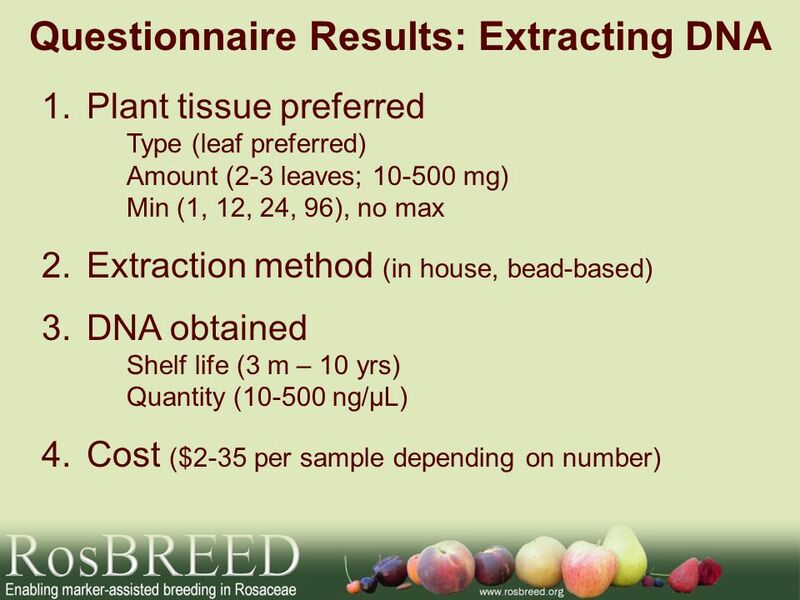 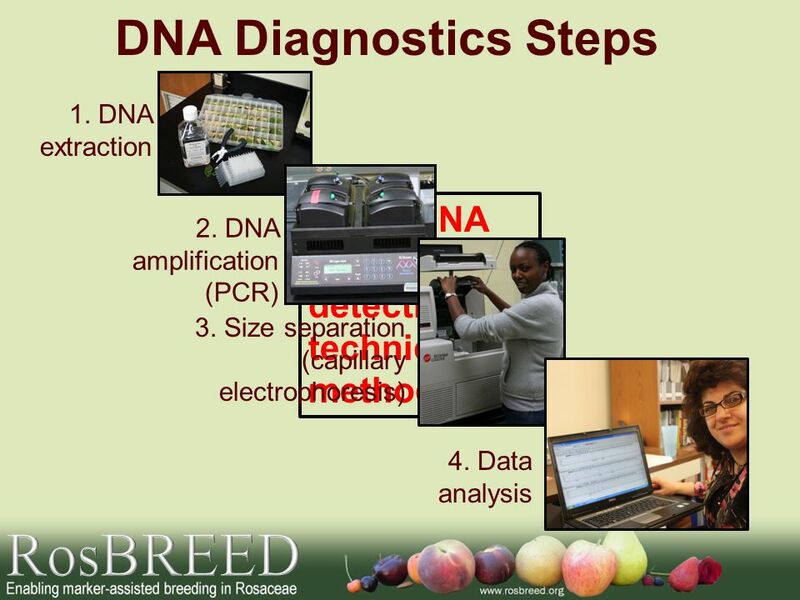 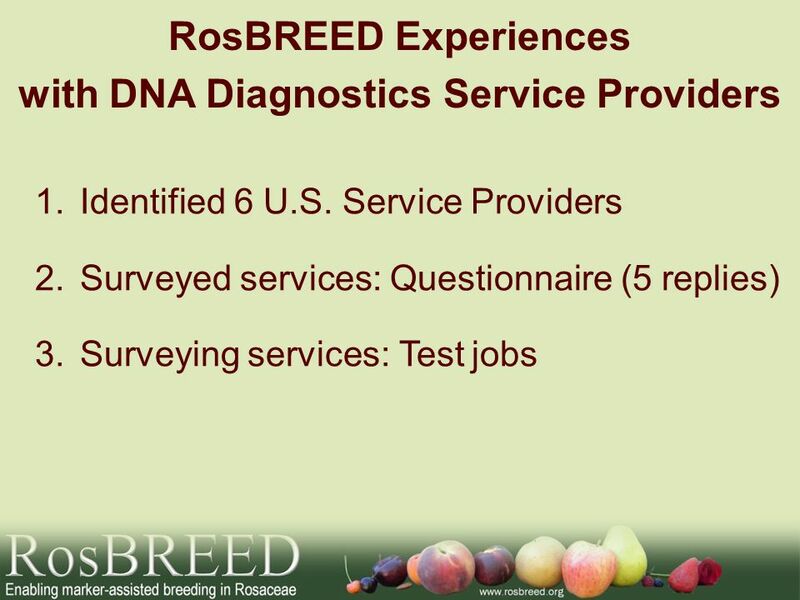 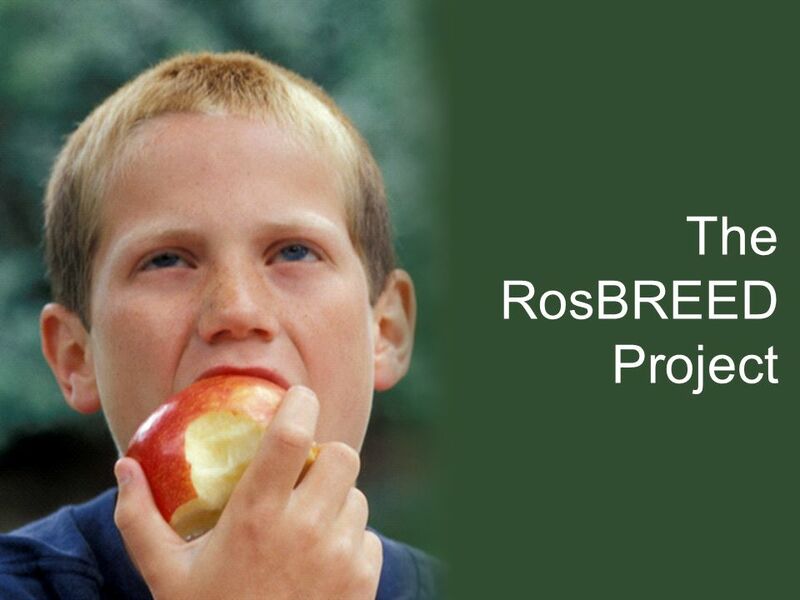 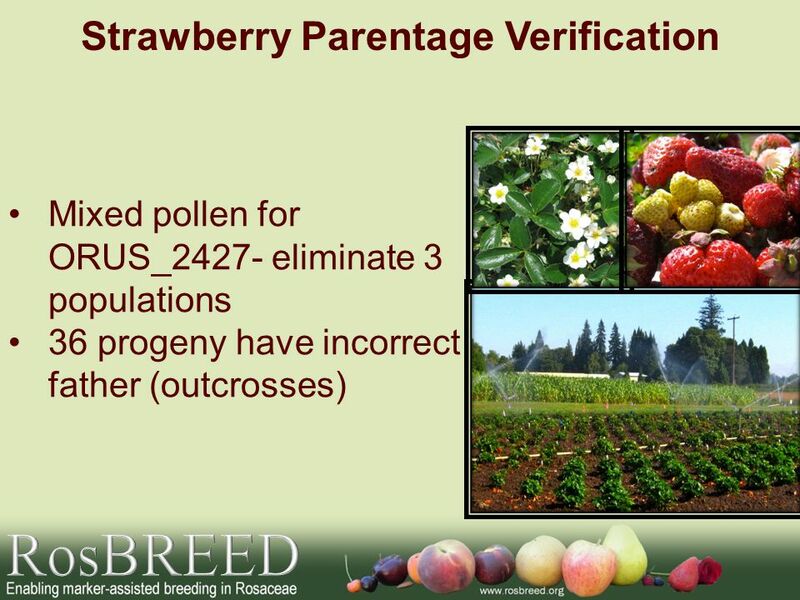 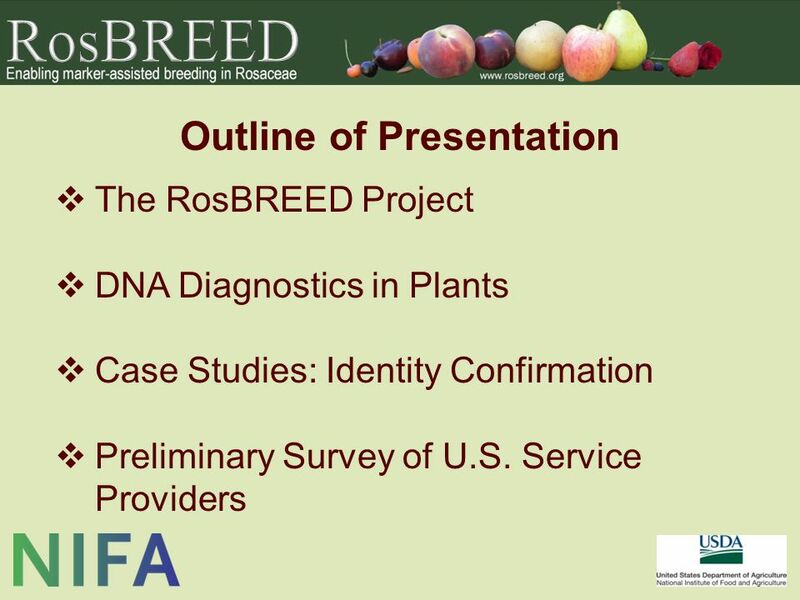 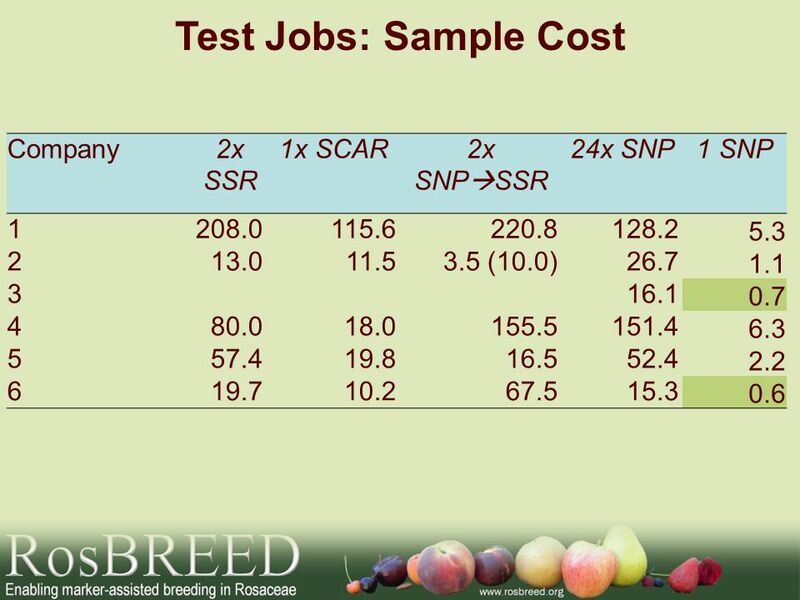 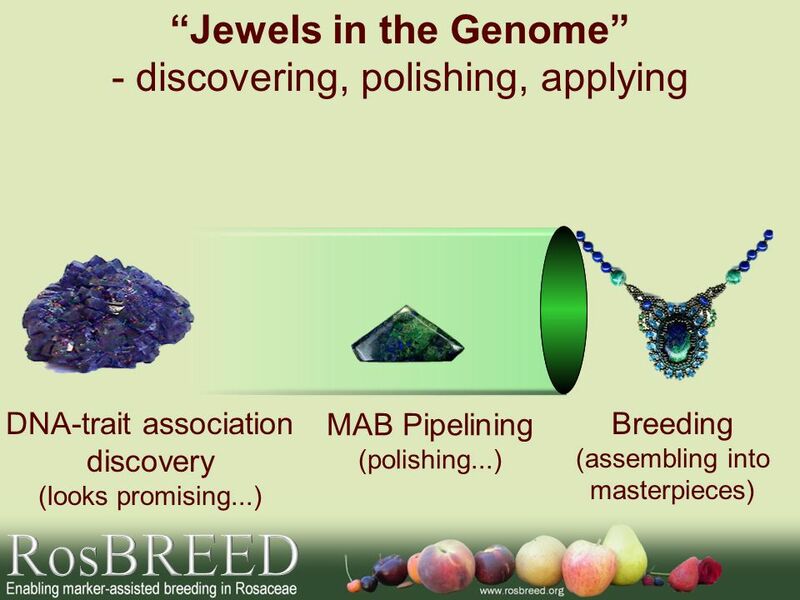 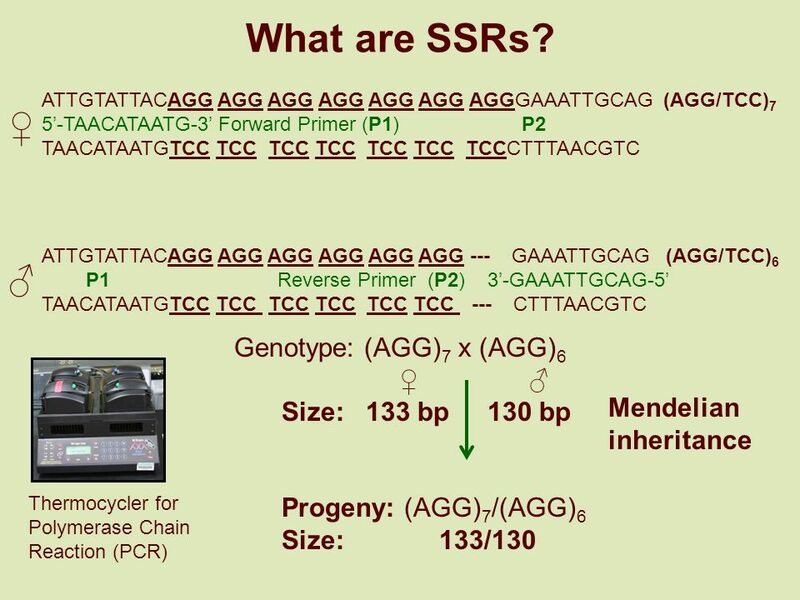 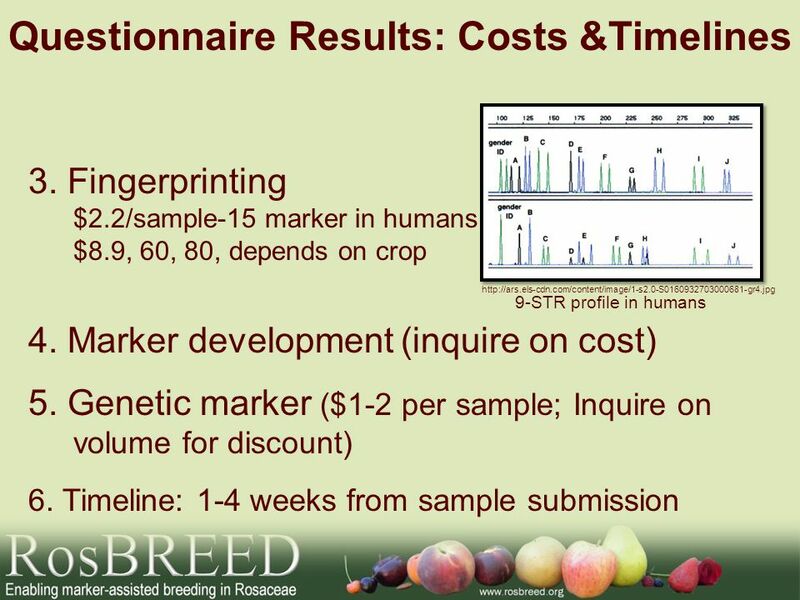 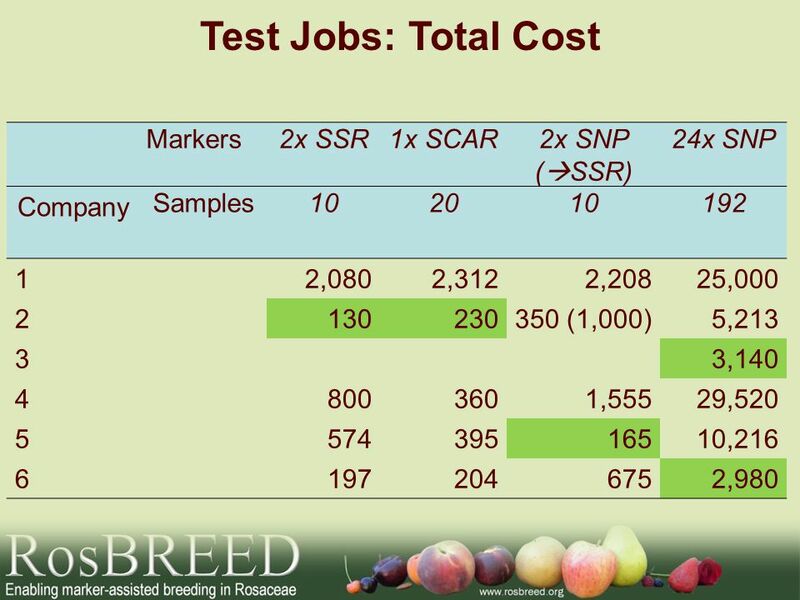 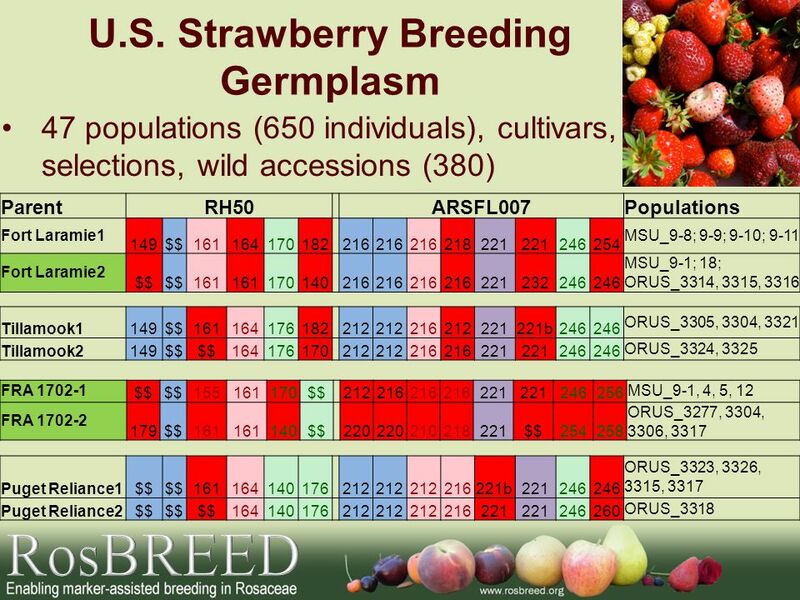 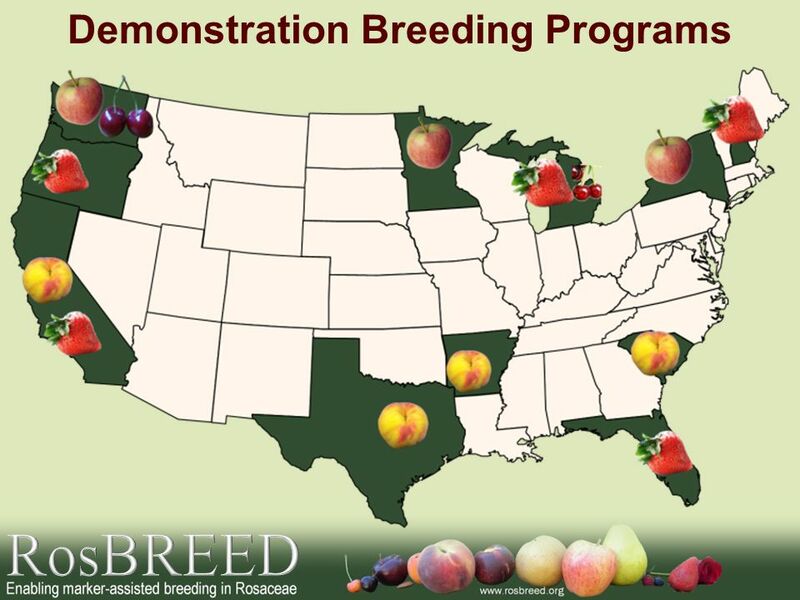 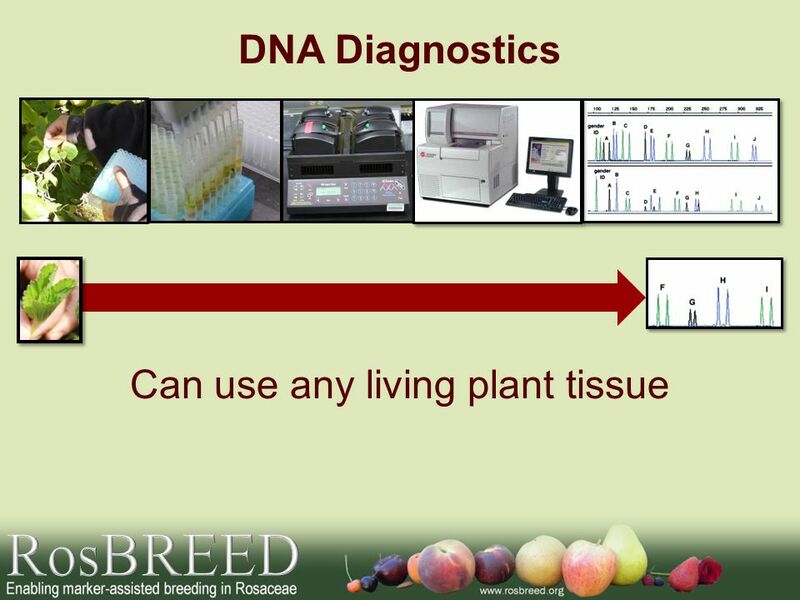 Download ppt "RosBREED: Using DNA Markers as a Strategy to Assure Plant Identity Nahla Bassil, Cameron Peace, Umesh Rosyara, Jim Luby and Amy Iezzoni." 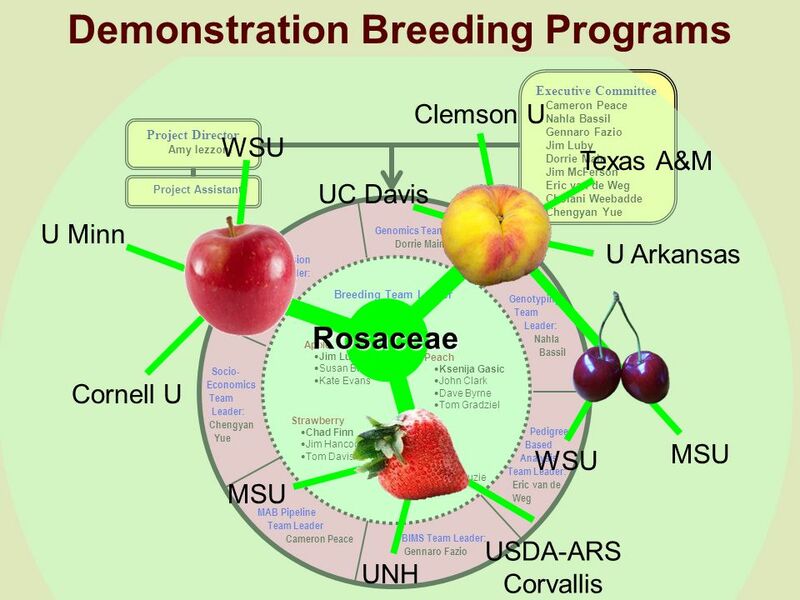 Comparing the importance of fruit traits to different stakeholders: preliminary socio- economics survey results Karina Gallardo, Washington State University. 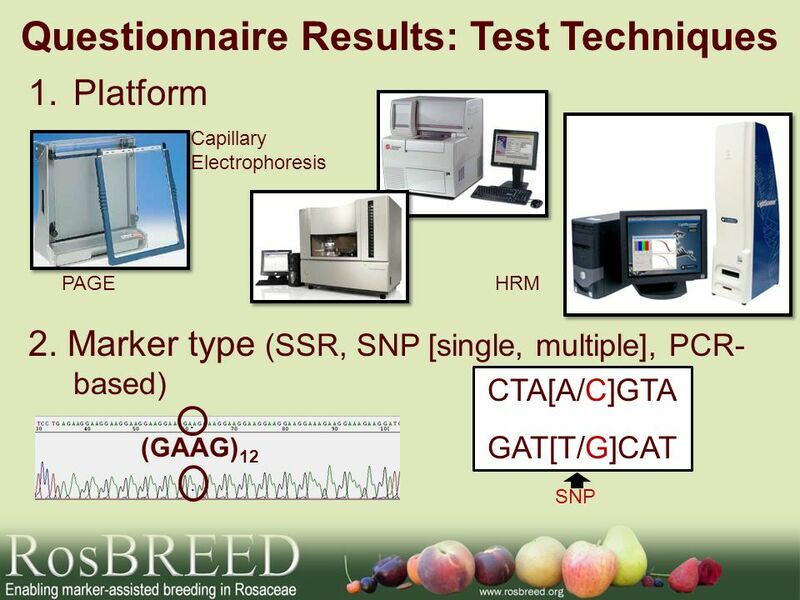 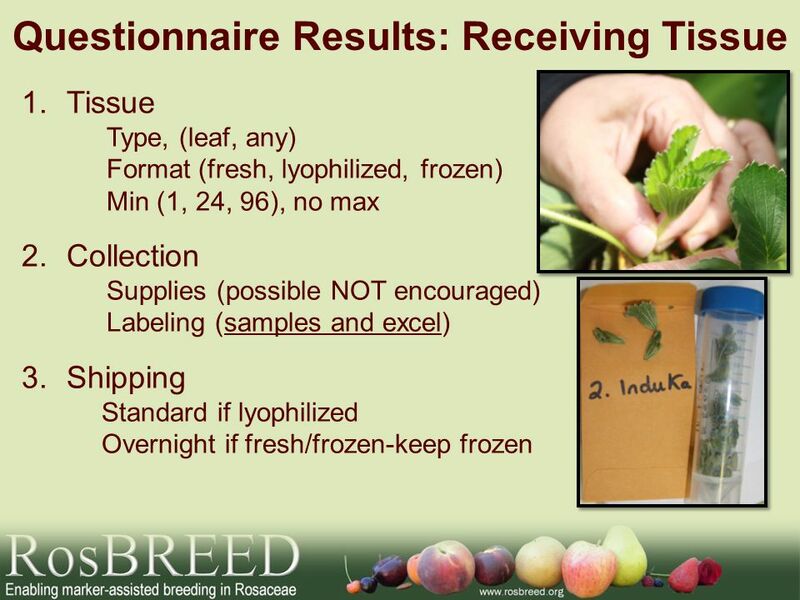 QTL and QTL allele validation in peach Ksenija Gasic 25 July 2013 ASHS Palm Desert, CA. 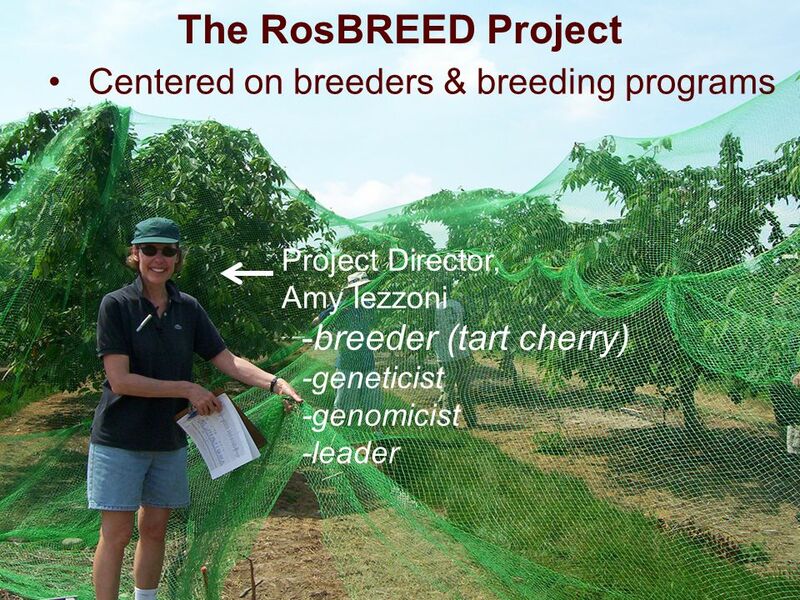 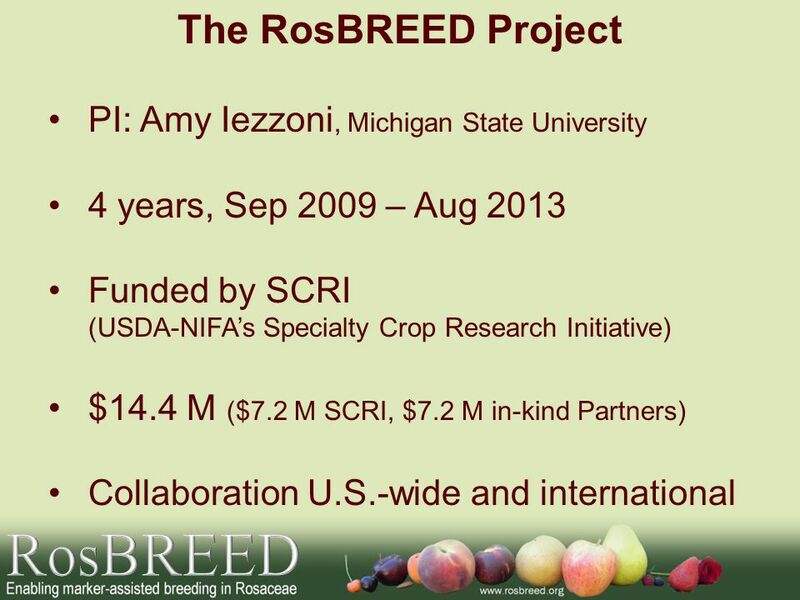 RosBREED Never Sleeps Integration & value of international partners Amy Iezzoni, Michigan State University Cameron Peace, Washington State University. 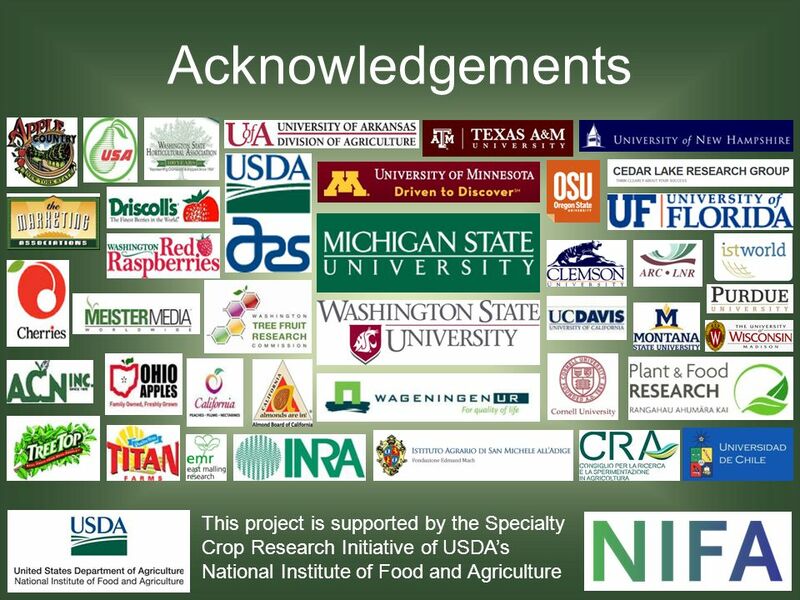 4 TH ANNUAL ADVISORY PANEL MEEETING 10 January 2013 San Diego, California. 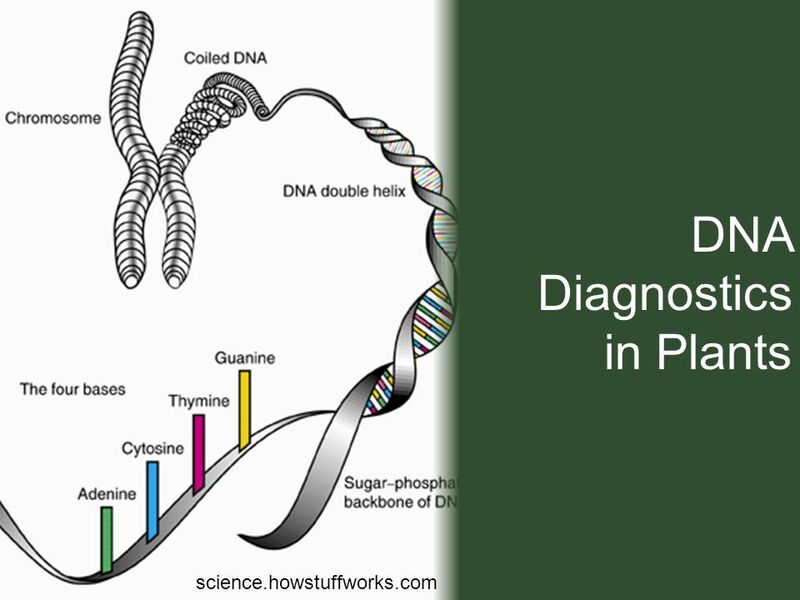 OBJ. 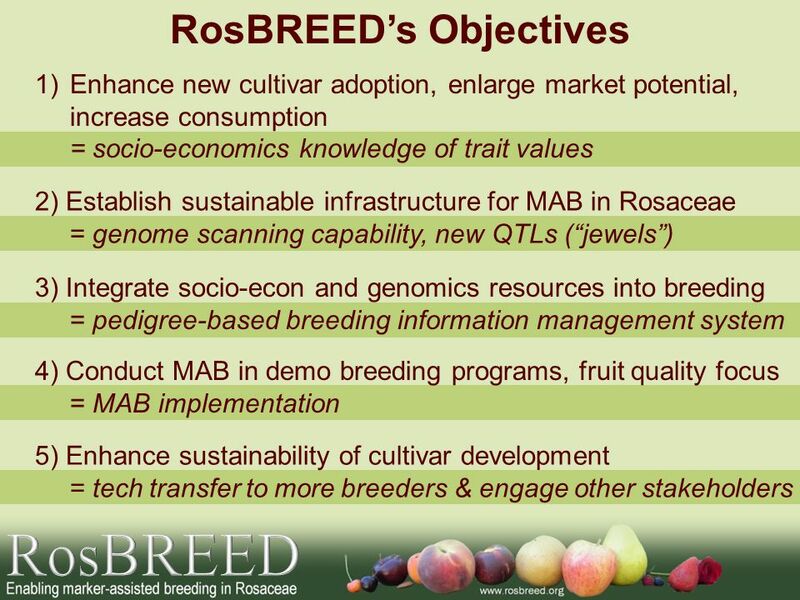 1 TRAIT AND MARKET SEGMENT BREEDING TARGET ESTABLISHMENT Year 2 Deliverables, Challenges, Year 3 Goals. 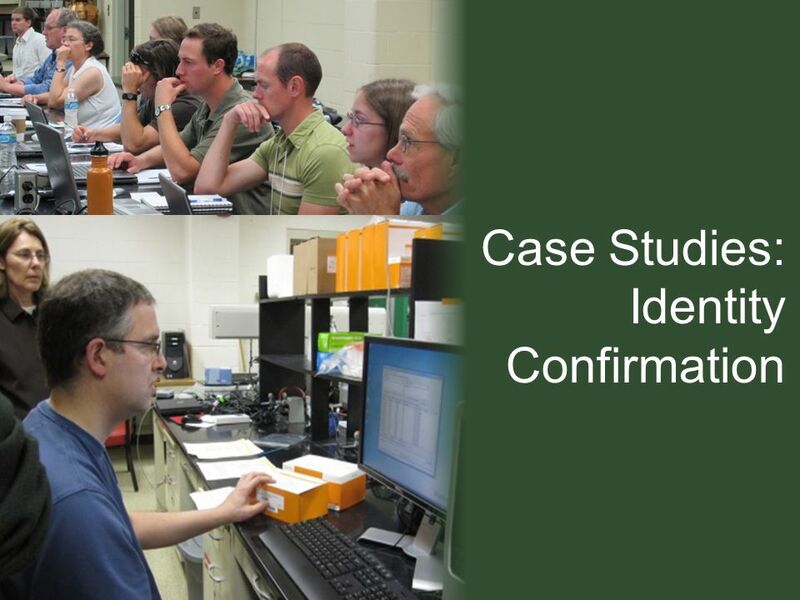 QTL and QTL allele validation in cherry Amy Iezzoni Cameron Peace, Audrey Sebolt, Nnadozie Oraguzie, Umesh Rosyara, Travis Stegmeir 25 July 2013 ASHS Palm. 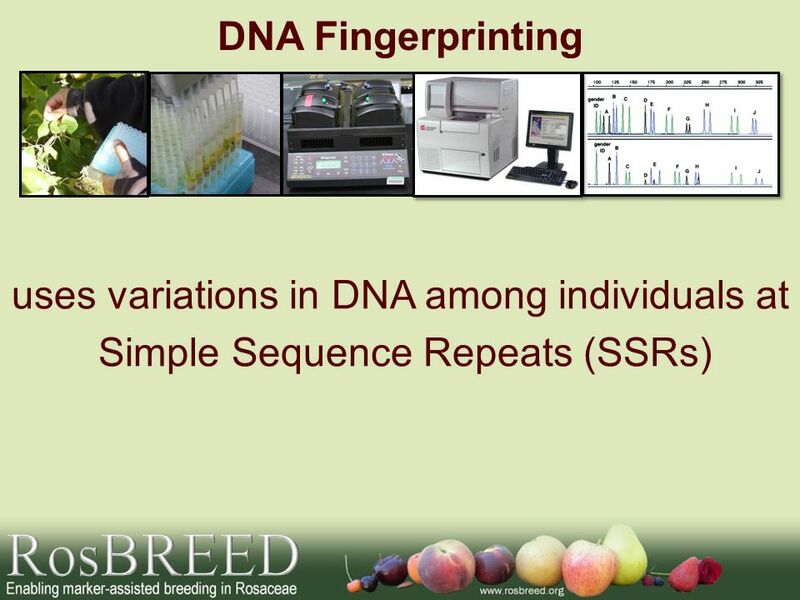 Sook Jung, Taein Lee, Stephen Ficklin, Kate Evans, Cameron Peace and Dorrie Main.